Ever since I discovered the GoodWill by my new house, I am pretty much there every week. Yes, I have become THAT stay-at-home mom who buys stuff specifically to spray paint it. However, once in a while I find something that is perfect as it is. I can’t imagine why anyone would part with these things but I’m glad they did. 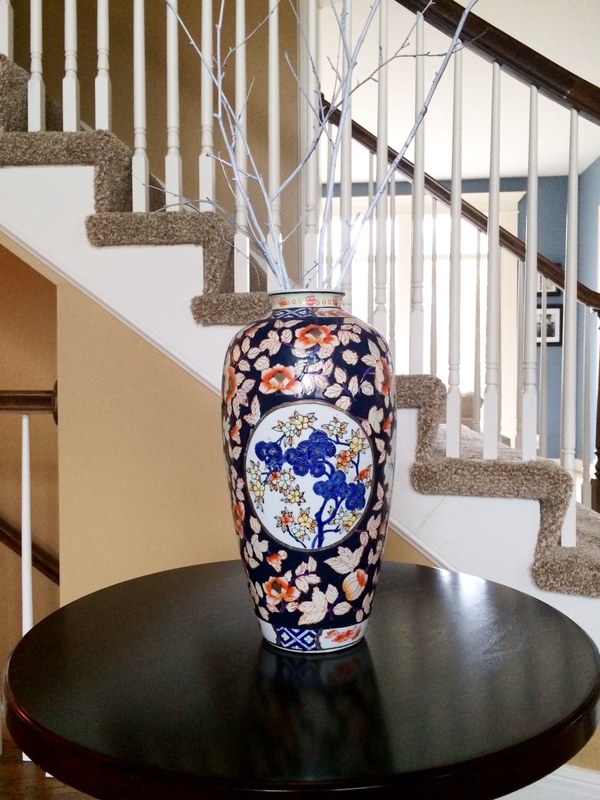 This vase was hidden away on a bottom shelf and as soon as I saw it I snatched it up and bought it immediately. I paid a whopping $9. It sits on the pedestal table in our entryway and everytime I pass it the colors make me so happy. Avery and I collected the sticks from our yard and sprayed them with a white lacquer. It was actually a really fun project for us to do together. The second I saw this I just fell in love with it. For one thing, I haven’t seen anything like it before. 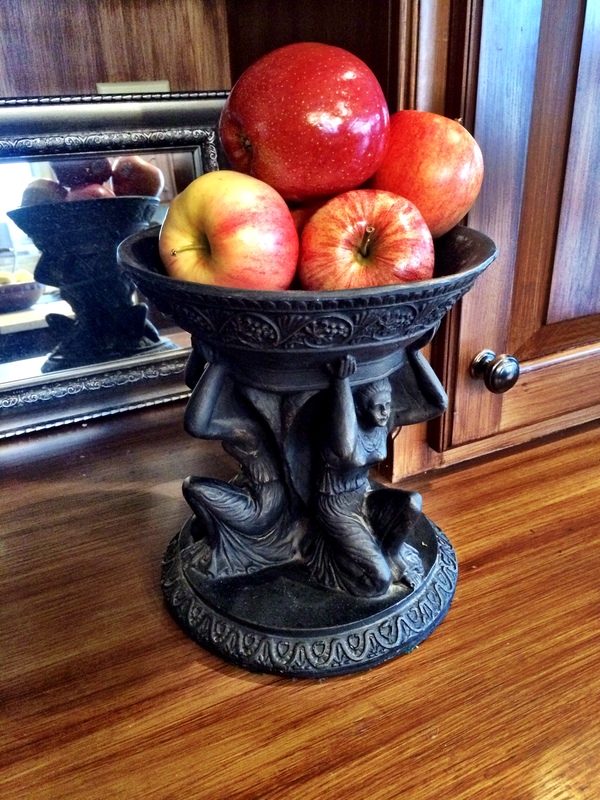 Right now it’s holding apples in my kitchen but I think it would be pretty in any room of the house. This was a Target find and at $2 I bought several of them with a few girlfriends in mind. There were other really cute ones too so next time you are there, take a look! I’ve been using Caldrea dishsoap for years, but I came across this cande the other day at Target and now it’s my favorite thing. 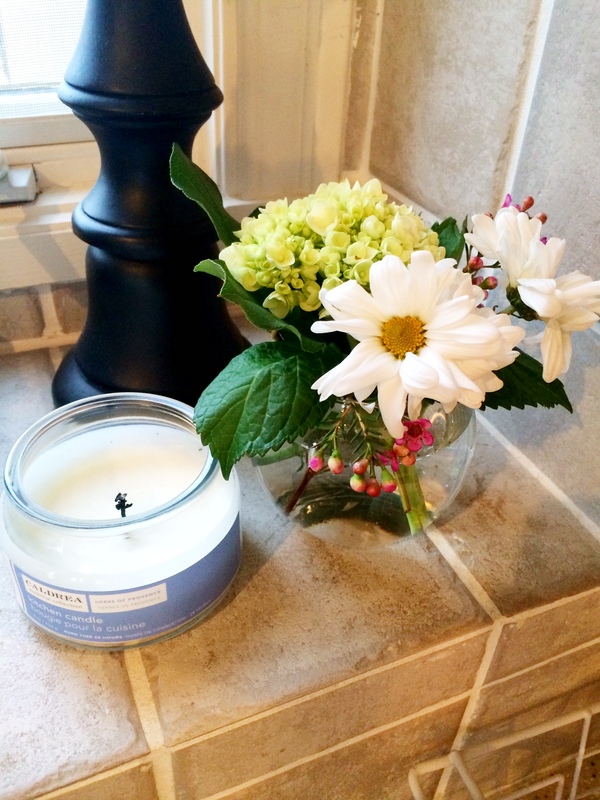 The scent is Herbs of Provence and it’s crisp and clean without being flowery or soapy. I light this and turn on my classic french pop iTunes radio station (think oldies you know like “Yellow Polka Dot Bikini”, but in french) and I am half way to Europe in my mind. 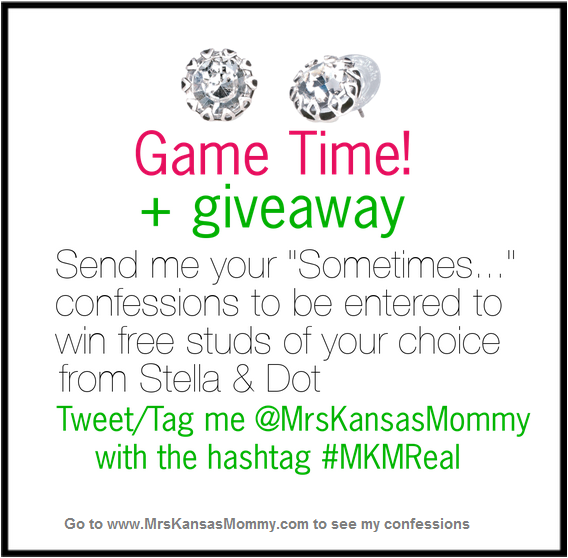 Tomorrow is an exciting day as I will announce the winner of the #MKMReal Hashtag game drawing (so you can still enter!) 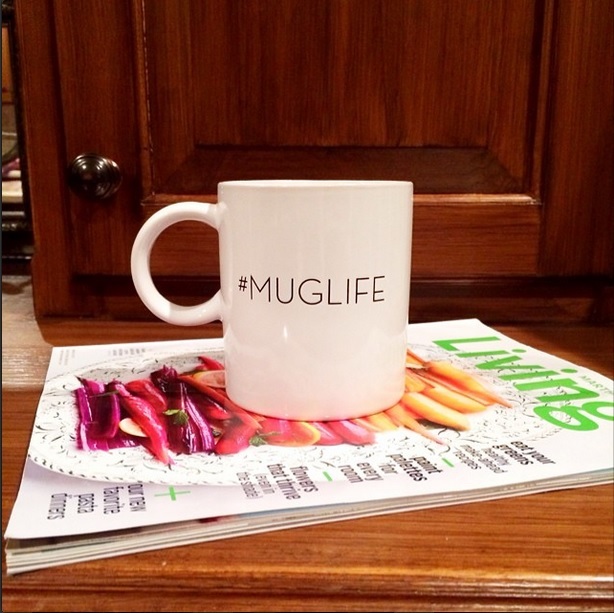 and a couple new product obsessions.